The Queens finished the Ceremonial Bath (as advised by the Preceptor); they entered the Palace Shrine where the altar of the Family Deity was: Vasishta completed the ceremony of worship. The payasam (food) that the Divine Person presented, was then placed in three golden cups. Then, Vasishta called Dasaratha in and said, 'Raja! Give these cups to your wives - first to Kausalya, next to Sumitra and last, to Kaika'. The King acted as ordered. They laid hold of the cups and fell at the feet of Vasishta and Dasaratha. Then, Vasishta directed that they should partake of the payasam, only after touching the Feet of Rshyasrnga, who officiated at the Yaga. Therefore, Kausalya and Kaika kept their cups safe in the shrine itself and went among their maids to dry their hair, before attending to coiffure. Meanwhile, Sumitra stepped on to the terrace, and, keeping her cup on the short parapet wall, she dried her hair in the sun, ruminating all the time on her peculiar plight: "She was the second Queen! The son of the eldest queen will ascend the throne, as of right; the son of Kaika, the third Queen can ascend the throne according to the promise made by the King at the time of his marriage with her!" But, Sumitra wondered. "What will happen to the son I would get? He will be neither here nor there. Why have a son at all, to suffer as a nobody without status and sovereignty? Far better that a son is not born than be born and get neglected." But that was only for a moment. Soon she reconciled hers felt that what the Gods decide must happen; none can stop it. She remembered that it was the command of her Preceptor and the order of the King; so, she went towards the cup, determined to eat the contents, when, an eagle flew in from somewhere and whisked it off in its beak, far, far into the sky. Sumitra repented for her negligence of the precious payasam; she felt that the King would be very upset if he came to know of the mishap. She could not decide on her next step; she went straight to her sister Kausalya and related the whole story to her. Just then, Kaika too came there with the gold cup, after tying up her dried hair. The three were very loving to each other, like sisters bound by one single silken thread of affection. So, to avoid breaking the saddening news to the King, they had another gold cup brought and Kausalya and Kaika poured into it a portion each from their own share, so that all could take their seats together in the shrine. They ate the payasam, while Rshyasrnga was pronouncing his blessings and other elders and scholars were chanting auspicious Vedic hymns. The Queens then sipped sanctifying water and prostrated before the altar; they fell at the Feet of Rshyasrnga and proceeded to their own palaces. Time rolled by; News that the queens were pregnant spread among the people. The bodies of the queens took on a shining complexion. The tenth month arrived. Maids and nurses awaited the happy event and watched over the queens with vigilant care. Meanwhile, they came to know that Kausalya had the pains of labour; they hastened to her palace; while on their way, they learnt that the Royal Consort had delivered a Prince! On the second day, Kaika brought forth a son. The glad tidings filled the entire zenana with joy. The next day, Sumitra had the pangs of labour and she delivered twin sons. Auspicious signs were seen everywhere. The happy news filled all with immeasurable joy. The earth covered herself with green; trees blossomed all over! Music filled the air. Clouds showered fragrant drops of rain, but only on the apartments where the babies were laid in their cradles! The joy of Dasaratha knew no bounds. While for years he was immersed in agony that he did not have even a single son, the birth of four sons gave him indescribable satisfaction and happiness. The King invited Brahmins and gave them gold, cows and land gifts in plenty. He arranged for the distribution of money to the poor, and of clothes; besides he gifted houses for the homeless. He gave food to the hungry. Wherever one cast his eye, he could see people acclaiming the happy event, shouting jai jai. The subjects gathered in huge assemblies to express their joy in music and dance. 'We have now princes in the royal line', they prided themselves; they were more exhilarated now than when they themselves had sons born to them. Women offered worship to God in gratitude for this act of Grace, for they were sure that the birth of the sons to their King was a signal act of Divine Mercy. Dasaratha invited the Preceptor of the Royal Dynasty, Vasishta, to the Palace and according to his suggestion, he got a learned astrologer to write down the horoscopes of the new-born. He announced to them that the child of Kausalya was born at a most propitious moment - Uttarayana (the Divine Half-year), Chaitra month, the bright fortnight, the ninth day, the Punarvasu star, Monday, Simhalagna, (the zodiacal sign of the Lion) and the abhijith period (the period of Victory), when the world was resting happily, when the weather was equable (neither hot, warm nor cold). 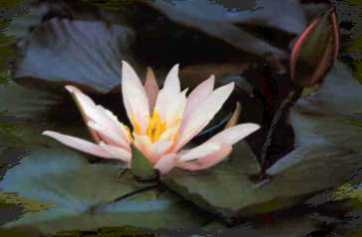 Kaika's son was born the next day - Chaitra, bright half, tenth day, Tuesday gandhayoga. The third day were born the twins - Chaitra, bright half, eleventh day, Aslesha star, Vriddhiyoga. These details were communicated to the astrologer and he was asked to chart and write the horoscopes in consonance with science and inform the king of his inferences there from. Then, Dasaratha prayed to Vasishta to fix the auspicious time for the naming ceremony of the children. The Family Preceptor sat still for a few seconds lost in meditation: he saw revealed in his yogic vision the future years; rousing himself from that vision, he said: "Maharaja! Your sons are not just ordinary mortals. They are incomparable. They have many names; they are not human; they are Divine Beings who have assumed human forms. They are Divine Personalities. The world's good fortune has brought them here. I consider it a great chance that I could officiate at the naming ceremony of these Divine Children". The mothers are three, but the father is one and so, Vasishta laid down that the ten-day period of 'impurity' be counted from the day when Kausalya delivered her child. So, the eleventh day after the birth of Kausalya's son, the sage declared, was auspicious for the naming ceremony. The King fell at the feet of Vasishta in thankfulness for this favour and the Preceptor left for his hermitage. The astrologer also approved the day and started writing down the list of materials that had to be kept ready for the ritual. He gave the list into the hands of the Chief Priest and left, loaded with the presents that the King granted him. Dasaratha had invitations written for the Ceremony, and sent them to the feudatory rulers, the nobles, courtiers, sages and scholars throughout his Empire, addressing them as befitted their rank and status. The messengers who carried the invitations were either ministers, court pundits, officers or Brahmins, their status being suited to the rank and status of invitees. Ten days passed. The City of Ayodhya was brightened and beautified, and made most charming to the eye. The melody of music filled the air and spread over the length and breadth of the kingdom, making people wonder whether celestial angels were singing above. Fragrance was sprinkled on the streets. The city was overflowing with visitors. The Sages and the Courtiers could enter the inner apartments of the Palace and no others. The rest, whether prince or peasant, had separate quarters arranged for them. They had erected pandals In the courtyard of the Palace to seat all the guests and invitees. They were accommodated there so that they could watch the Naming with all its attendant ceremonials. Very soon, music rose from the Durbar Hall; the chanting of Vedic hymns by Brahmins could be heard; the three Queens entered the elegantly decorated Hall, with the babies in their arms. They shone like Divine Mothers carrying the Gods, Brahma Vishnu and Shiva. The bliss and the splendour that pervaded their faces were beyond man's powers of description. As soon as the people noticed their entry, acclamations of 'Jai' rose from their hearts. Women waved auspicious lamps before them. Three special seats had been placed there for them. Kausalya took her seat first, followed by Sumitra and Kaika. Emperor Dasaratha sat by the side of Kausalya on her right. The Brahmins started the ceremony, with due attention to detail. They lit the sacred fire and poured oblations with the recitation of appropriate formulae. Rice grains were poured and spread on golden plates; soft silk cloth was spread on the rice; then, the babies were placed on the cloth by the mothers. The child of Kausalya stared at Vasishta as if he was a familiar acquaintance! He endeavoured to go near him, as if he liked his company and would fain be near him! Everyone wondered at this strange behaviour. Vasishta was overwhelmed with joy at this; he shed tears of joy; he had to wipe his eyes and control himself with much effort; then, holding a few grains of rice in his hand, he said, "King! The child born to promote the joy of Kausalya will do the same for all mankind. His virtues will bring solace and contentment, joy and happiness, to all. The Yogis and seekers will find in him a great source of joy. Therefore, from this moment, his name will be Rama, "he who pleases". And, the sages welcomed the Name as very apt and meaningful. They exclaimed, "Excellent, Excellent!" Then, Vasishta gazed upon the twin children of Sumitra. The elder one, he felt, would be a hero, a stalwart fighter, and endowed with vast wealth. He knew that he would take delight in the service of God and His Consort, Lakshmi; that service would be for him like the very breath of life. So, he chose the name Lakshmana for him. His younger brother, Vasishta knew, would be a formidable destroyer of enemies, and withal a contented follower in the footsteps of his elder brothers. He therefore blessed him with the name, Satrughna, (the slayer of enemies). Later, he gazed on the child that was the source of Kaika's joy. That child, Vasishta knew, will fill all hearts with love and joy; he will amaze all by his unbelievable adherence to Dharma; he will rule over his subjects with great compassion and affection. So, he gave him the name, Bharatha (he who rules). The people were happy when they heard the Preceptor dilate on the glorious future of the children; they were filled with love for the princes and called them from that day as Rama, Lakshmana, Satrughna and Bharatha. Dasaratha had arranged elaborate banquets for all who attended the ceremony; he filled with joy every one who had come; he offered each one the hospitality and presents that the status of each deserved; he showered enormous gifts as charity and as ritual penance he distributed cows, lands, gold and other valuables to the poor and the needy; he paid attention to the needs of every one, so that no one was discontented or disappointed; and, after the ceremony was over, he gave them leave with due civility to return to their homes. The children grew fast on the fond care of the mothers. But, one curious thing was noticed early. It was observed very soon that Lakshmana always sought Rama and Satrughna always sought Bharatha! Since the day of his birth, Lakshmana was always wailing! The nurses, the ayahs and others tried various remedies and palliatives; but nothing could alleviate his misery or stop his wail. Internal pain was suspected and medicines galore were tried. They were of no avail. So, Sumitra was certain that the child's pain was beyond the reach of drugs; she sent for the Preceptor Vasishta; she fell at His Feet as soon as he entered the room. 'Master', she appealed, 'this Lakshmana is weeping since birth, and clamouring for something I am not able to discover. I have consulted doctors and treated him, as advised. But. the wailing is increasing day by day; he does not relish even mother's milk! As for sleep, it is totally absent. How can he be healthy and hearty if he goes on like this? Kindly tell me why he is behaving so, and bless him that he may give up this continuous wail'. Vasishta thought within himself for a while. Then he said: "O Queen! His pain is unique and you are trying to cure it by familiar means and drugs! His yearning is beyond the ken of mortals to understand. Do as I tell you and the child will be quiet and happy. The moment you do so, the child will cease wailing and begin playing about with gusto. Take him now and lay him beside Rama, the child of Kausalya. This is the panacea". 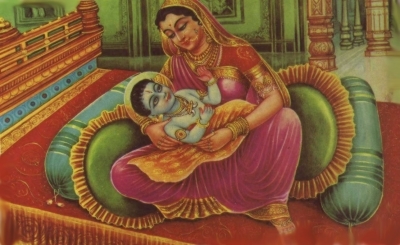 After this, Vasishta left, leaving his blessings on mother and child. Hearing his words, Sumitra took her child to where the other child was, in its cradle. She laid him by the side of Rama. From that very moment, the wailing stopped! Laughter and play began! Those who saw this transformation took it as a great wonder! Lakshmana, who was until then suffering, began to prattle aloud in joy, kicking his feet about, waving his hands in glee, as fish do when they are thrown back into water, gliding gleefully along, in quick darts. He was in the presence of Rama, immersed in bliss and aware of the Grace Rama showered. The story of Satrughna was also on similar lines. He was melancholic, averse to food and play. He appeared very weak and tired. Sumitra was worried at this development. So she invited the Preceptor to the palace and inquired from him the reason, Vasishta smiled again; he said, 'Mother! Your children are not of the common stamp. They are born to enact a Divine Drama! Place Satrughna on the same bed as Bharatha! Then his daily routine will be joyful. He will be extremely happy. You need not worry any more'. Vasishta blessed her and left. Sumitra followed his instructions immediately. Since then, Satrughna spent time in the company of Bharatha. The children were in unbounded bliss together; their progress was beyond measure! Like the splendour of the Sun, they grew in intelligence and glory from hour to hour. Sumitra had nothing to do now for her children; but, since she loved her twins as her dear life, she spent some of her time with Kausalya and some with Kaika, fondling the children and attending to their needs. She moved from one Palace to the other and relished her chore as a maid caring for the comforts of children. "I am not destined to mother them", she sometimes pined in solitude. Often she wondered how this strange situation arose of her children being happy with those mothers and not with her. At last, she went to the Preceptor and prayed to him to allay her anxiety. He laid bare the real reason: 'Mother! Lakshmana is a 'part' of Rama; Satrughna is a 'part' of Bharatha." Even as these words fell from his lips, Sumitra exclaimed, "Yes, Yes! I realize it now! I am glad I know from you the truth", and she fell at the Feet of Vasishta and left for the inner apartments. She said to herself, "When the eagle carried away in its beak the precious gift or payasam (Divine food) given by the Divine Messenger, I was so frightened at the prospect of the King becoming angry at my negligence that I informed Kausalya and Kaika about the calamity; she poured out for me a share from her cup and the other sister poured out another share from her own cup; so, I alone of the queens had twins, as a result of the twin shares I consumed! 0, the will of God is mysterious. It is beyond any one to know His might and majesty. Who can alter His decree?" "Yes", she consoled herself, "I bore them for nine months; I went through the pangs of delivery. But, their real mothers are Kausalya and Kaika, there is no doubt". She was confirmed in this belief and she gladly entrusted her children to Kausalya and Kaika, and joined them in fondling and fostering them. The maids as well as many kinsmen of the royal family derived great joy watching the children at play. After they left, Kausalya used to insist that rites to ward off the evil eye were performed scrupulously. She was so affectionate and considerate towards the children that she never recognized the passage of day and the arrival of night or the passage of night and the dawn of a new day. She could not leave them out of sight even for the fraction of a second! While taking her bath or when she was engaged in worship inside the shrine, her mind was on them and she would hasten towards them as quick as feasible. All her work she did in a hurry so that she could spend more time on their care. One day, she bathed Rama and Lakshmana; she applied fragrant smoke to their curls in order to dry them and perfume them; she carried them to the golden cradles; she sang sweet lullabies and rocked them to sleep. When she found that they had slept she asked the maids to keep watch and she went into her rooms, and prepared the daily food offering to God, in order to complete the rites of worship. She took the golden plate of food and offered it to God. Some time later, she went into the shrine in order to bring the plate out and give a small quantity of the offering to the children. What was her surprise, when she found in that room, before the altar, Rama sitting on the floor, with the offering before Him, eating with delight the food she had dedicated to God! She could not believe what her own eyes told her! Kausalya wondered: "What is this I see? Do my eyes deceive me? Is this true? Can it be true? How did this baby which was sleeping in the cradle come to the shrine? Who brought it hither?" She ran towards the cradle and peeped into it, only to find Rama asleep therein! She assured herself that hers was but delusion; she went into the shrine to remove from there the vessel of payasam she had placed before the idols. She found the vessel empty! How could this be, she wondered! Seeing the child in the shrine might well be a trick of the eye; but, what about the vessel being empty? How could that be an optical illusion? Thus she was torn between amazement and disbelief. She took hold of the vessel with the remnants of the offering and hastening to the cradle, stood watching the two babes. She could see Rama rolling something on his tongue and evidently enjoying its taste; she was amusingly watching his face, when lo, she saw the entire Universe revolving therein. She lost all consciousness of herself and her surroundings; she stood transfixed, staring with dazed eyes, on the unique panorama that was revealed. The maids were astounded at her behaviour; they cried out in their anxiety, but she did not hear them. One maid held her feet and shook her until she awoke to her surroundings. She came to, in a trice, with a quick shiver. She saw the maids around her and stricken by wonder, she sat on a bedstead. Turning to the maids, she asked, "Did you notice the child?" They replied "Yes; we are here since long. We have not taken our eyes away from him." "Did you notice any change in him? ", Kausalya enquired in eager haste. "We did not notice any change; the child is fast asleep as you can see" was their reply. Kausalya had her problem: Was her vision a delusion? Or fact? If true, why did not these maids notice it? She thought about it for long and, finally, consoled herself with the argument that since the children were born as products of Divine Grace, Divine manifestation was only to be expected of them. She nursed them and nourished them with deep maternal solicitude. They grew day by day, with greater and greater splendour, as the moon does in the bright half of the month. She derived immeasurable joy in fondling them and fitting clothes and jewels on them. 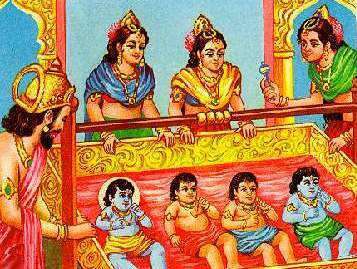 The childhood of Rama was a simple but sublime part in his life. Very often, forgetting that He was her child, Kausalya fell at His feet, and folded her palms before him, knowing that He was Divine. Immediately, she feared what people would say if they saw her bowing before her own child and touching Its feet in adoration. To cover up her confusion, she looked up and prayed aloud, "Lord! Keep my child away from harm and injury". She used to close her eyes in contemplation of the Divine Child and begged God that she might not waver in her faith through the vagaries of His Maya (power to delude). She was struck by the halo or light that encircled His face. She was afraid that others might question her sanity if she told them her experiences. Nor could she keep them to herself. She was so upset that she behaved often in a peculiar manner, as if carried away by the thrill of the Divine Sport or her child. Sometimes, she was eager to open her heart to Sumitra or Kaika when they were near her; but, she controlled herself, lest they doubt the authenticity of the experience and attribute it to exaggeration, or her desire to extol her own son. At last, one day, she made hold to relate to Emperor Dasaratha the entire story of wonder and thrill. He listened intently and said, "Lady! This is just the creation of your fancy; you are over fond of the child; you imagine he is Divine and watch his every movement and action in that light and so, he appears strange and wonderful. That is all". This reply gave her no satisfaction; so, the Emperor consoled her with some specious arguments and sent her to her apartments. In spite of what Dasaratha affirmed, the Queen who had witnessed the miraculous incidents with her own eyes remained unconvinced. She was not convinced by his words. Therefore, she approached the Preceptor Vasishta and consulted him on the genuineness of her experiences. He heard her account and said: "Queen! What you have seen is unalloyed Truth. They are not creations of your imagination. Your son is no ordinary human child! He is Divine. You got him as your son, as the fruit of many meritorious lives. That the Saviour of Humanity should be born as the son of Kausalya is the unique good fortune of the citizens of Ayodhya". He blessed the Queen profusely and departed. Kausalya realised the truth of Vasishta's statement! She knew that her son was Divinity Itself; she derived great joy watching the child. Months rolled by. The children, Rama, Lakshmana, Bharatha and Satrughna learnt to crawl on all fours, sit on the floor, and move about. Special arrangements were made to keep watch over them at all times, lest they fall and hurt themselves. Many varieties of toys were procured and placed before them. The mothers with the children, the children with the mothers and nursemaids, spent the days, with no sense of the passage of time, in one continuous round of joy. The children could raise themselves up and stand, holding fast the fingers of mother or maid. They could hold on to the wall, and get up. They could toddle forward a few steps on their feet. Their efforts and achievements gave merriment to their mothers. They lisped in sweet parrot voice a few indistinct words and made them burst into laughter. They taught them to say, Ma and Bap and were happy when they pronounced the words correctly. Every day at dawn they rubbed medicated fragrant oil over their bodies; then they applied detergent powder and bathed them in the holy waters of the Sarayu. Then, they dried curls in perfumed incense, applied collyrium [eye salve] to their eyes, placed dots on their cheeks to ward off the evil eye, and put ritual marks on their foreheads. They dressed them in attractive soft silk and helped them to recline in swings, where they slept soundly to the tune or melodious lullabies. Engaged in this pleasant task, the mothers felt that heaven was not far off in space and time; it was there all around them. And what of the jewels for them! Oh! They were newer and more brilliant, each new day! Anklets, tinkling waist strings of gold and precious stones, necklaces of the nine gems! For fear that these might hurt by their hardness the tender body, they were set on soft velvet tapes and ribbons. The plays and pastimes of the little boys defied description. When they were able to walk, boys of the same age were brought from the city and together they played games. The city children were given tasty dishes to eat and toys to play with. They were also loaded with gift articles. The maids who brought them to the palace were also fed sumptuously. Kausalya, Kaika and Sumitra had no care for their own health and comfort while bringing up their children; so happy were they with them. After this period of nourishment and growth in the interior of the Palace, when they reached the age of three, the children were taken by their governesses to the playground, where they ran and rollicked to their hearts' content. When they returned, the mothers welcomed them and fostered them with great love and vigilance. One day, Dasaratha while conversing with his queens, mentioned that the children will not learn much that is worth while if they moved about with the maids; their intelligence and skills cannot be developed that way. So, an auspicious hour was fixed to initiate them into letters; preceptors were called in to inaugurate the studies. From that day, the charming little kids took residence in their teacher's home; they gave up the costly royal accoutrements and wore a simple cloth wound round their waists, and another thrown over their shoulders. Since education cannot progress well if children are in the atmosphere of parental love and care, they had to live with the teacher, imbibing lessons all through the day and night; for more is learnt by service to the teacher, by observing him and following his example. They had to live on whatever was given to them as food by the teacher. They shone like embodiments of the Brahmachari ideal (the Seekers of Truth). When the mothers felt the anguish of separation and desired to see them, they went to the house of the teacher and made themselves happy, noting the progress of the children. The teacher was also quite happy when he observed the steadfastness and enthusiasm of his wards; he was surprised at their intelligence and powerful memory, and he was filled with wonder and joy. Among all the four, he noticed that Rama had outstanding interest in his studies. He grasped things so quickly that he could repeat any lesson correctly, when he had heard it just once. The teacher was amazed at the sharp intelligence of Rama; he resolved that his advance should not be slowed down by the need to bring the others to his level. So he grouped the other three separately, and paid individual attention to Rama who learnt very fast. Lakshmana, Bharatha and Satrughna too learnt their lessons admirably well, but they pined for the company and comradeship of Rama so much that, as soon as Rama was out of sight, they lost interest in study and in their duties towards their teacher. As a result, they could not catch up with Rama; they were following him a session or two behind. Lakshmana dared tell his teacher once or twice that they had no need for any lessons or learning; they would be happy if they could but get the company of Rama! Rama was the very life of Lakshmana. The teacher observed this strange relationship between the two and drew much inspiration contemplating on it. He reminded himself of the statement of the sage Vasishta that they were no other than Nara and Narayana, the inseparable Divine Forces.